Heavy hitters like that make it clear that the first line of objection to fossil fuel divestment has long since been laid to rest: this is one big action you can take against climate change without big cost. Indeed, early divesters have made out like green-tinged bandits: since the fossil fuel sector has badly underperformed on the market over recent years, moving money into other investments has dramatically increased returns. Pity, for instance, the New York state comptroller Thomas DeNapoli – unlike his New York City counterpart, he refused to divest, and the cost has been about $17,000 per pensioner. At first we thought our biggest effect would be to rob fossil fuel companies of their social licence. Since their political lobbying power is above all what prevents governments taking serious action on global warming, that would have been worth the fight. And indeed academic research makes it clear that’s happened – one study concluded that “liberal policy ideas (such as a carbon tax), which had previously been marginalised in the US debate, gained increased attention and legitimacy”. That makes sense: most people don’t have a coal mine or gas pipeline in their backyard, but everyone has – through their alma mater, their church, their local government – some connection to a large pot of money. As time went on, though, it became clear that divestment was also squeezing the industry. Peabody, the world’s biggest coal company, announced plans for bankruptcy in 2016; on the list of reasons for its problems, it counted the divestment movement, which was making it hard to raise capital. Indeed, just a few weeks ago analysts at that radical collective Goldman Sachs said the “divestment movement has been a key driver of the coal sector’s 60% de-rating over the past five years”. Divestment by itself is not going to win the climate fight. But by weakening – reputationally and financially – those players that are determined to stick to business as usual, it’s one crucial part of a broader strategy. The Carbon Tracker initiative in London published the first report laying out the fact that the fossil fuel industry has five times more carbon in its reserves than any climate scientist thinks is safe. And with activists marching and going to jail, phrases such as “stranded assets” were soon appearing in the mouths of everyone from hedge fund managers to the governor of the Bank of England. 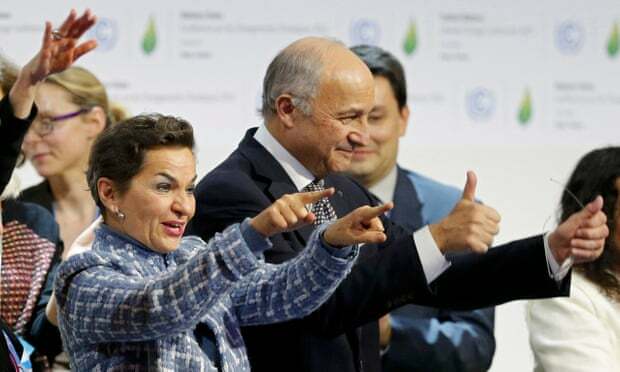 As Christiana Figueres, the former UN climate chief who managed to push through the Paris accords in 2015, put it: “The pensions, life insurances and nest eggs of billions of ordinary people depend on the long-term security and stability of institutional investment funds. Climate change increasingly poses one of the biggest long-term threats to those investments and the wealth of the global economy.” Last year she turned down an honorary degree from a US university because it hadn’t yet sold its stock. The deeper question, though, is whether divestment is making a dent in the fossil fuel industry. And there the answer is even clearer: this has become the deepest challenge yet to the companies that have kept us on the path to climate destruction. … The Guardian’s US editor John Mulholland urges you to show your support for independent journalism with a year-end gift to The Guardian. We are asking our US readers to help us raise $1 million dollars by the new year to report on the most important stories in 2019. We want to say a huge thank you to everyone who has supported The Guardian so far. We hope to pass our goal by early January 2019. Every contribution, big or small, will help us reach it. Please make a year-end gift today to show your ongoing support for our independent journalism. Thank you.